Two small plane crashes were reported today – one occurring in Alaska and the other in New Jersey. A person died on Wednesday after two planes flying over Alaska crashed in midair near Anchorage, officials said. Several reports regarding the deadly collision came in to the Alaska State Troopers around noon and confirmed one person had died in the crash. It has not been confirmed if this was the only person onboard. The aircraft was a “high-wing” Cessna which crashed midair into another Cessna that was able to safely land at a base that’s part of Ted Stevens Anchorage International Airport. Those individuals were not harmed. Emergency responders spotted wreckage of the first airplane partially submerged in the Susitna River where it flows into the saltwater of Knik Arm. A small plane headed for Hyannis crashed this morning in a rural part of southern New Jersey, killing 2. 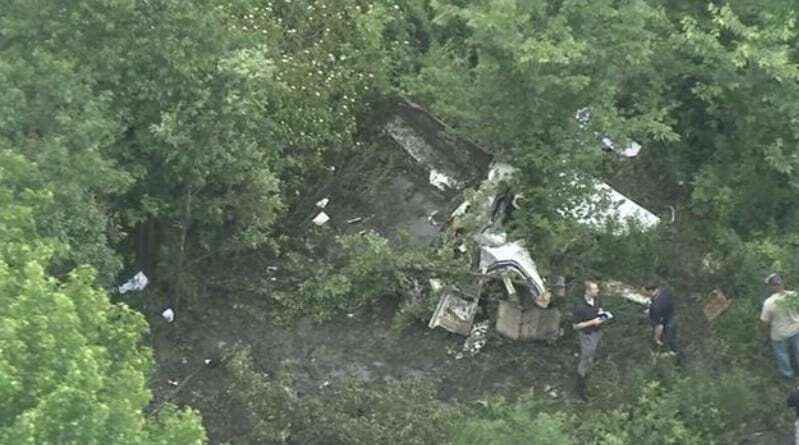 The Hawker Beechcraft 58 Baron aircraft went down in Springfield Township, according to the FAA, that also indicted Robert Winner of Marlton, New Jersey, is listed as the owner of the aircraft. It is not known who the two people were that were onboard. The plane took off around 9 am around 10 miles southwest from the scene of the crash. Chopin Airport confirmed the incident but said no injuries had been reported.